RIO Products Facebook page image. 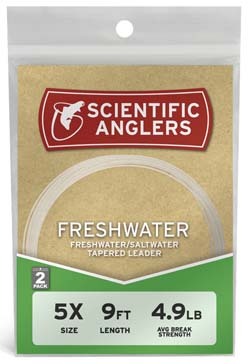 Today, compared to my first introduction to monofilament leader material (the 1950’s) there have been technology additions to it that have improved the performance – reduced diameter thickness for break strengths, lower stretch numbers, less UV degradation, and knots that have been introduced to defeat slippage. 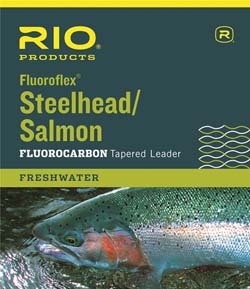 More news of the same nature is true of fluorocarbon leader material. It too has improved, but the wonder material started with some flaws which again leads to the warning of buyer beware – cheap isn’t the road that should be most traveled. Mono does not need a long introduction if you’ve been fishing for a while (spin, bait, lure, fly fish) because almost everyone teethed on it and it’s still the most popular leader material – think value $. Its virtues are better seating, holds better in a knot, and makes many popular knots better than if tied with fluorocarbon. Mono is an excellent non-spooking line because of its translucency. Short suits of mono are that it has a shape or memory problem and it stretches. The latter creates a delay on a hookset that translates not getting the initial pound test pressure you believe you are. Tournament anglers, from whom we can always learn mo-betta, want a line that can transfer the energy of a hookset equivalent to putting the pedal to the metal – floor it. Controversially, of course, I do not use fluorocarbon leaders on most of the families Salmonidae: Salmo, Atlantic species; Oncorhynchus, Pacific species; and Salvelinus, which includes fish also sometimes called char. The oceanic trout of the family Salmonidae can be an exception, like a 40-pound hen Atlantic salmon, but not necessarily exempt. Admittedly, my thinking is old-timer on the matter of fluorocarbon leaders because its introduction was initially limited to saltwater applications – and I’m stuck there. Oddly, that intro was only about a dozen or so years ago – time flies. Initially advertised as no stretch, and some people still believe the “misstatement” was… as compared to monofilament. 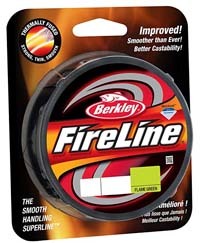 Off-putting at best because it does stretch in combat, but not at such low-pound pull pressure as monofilament. So, it does have more sensitivity to feel a nibble because it of having a higher density – sinks faster (less bow in the line) because it’s noticeably heavier by size and thinner in equivalent pound test, as well as stretch response. It also has better invisibility than mono – nearly the same refractive index as water which is very effective in gin clear water, and improved durability versus UV. 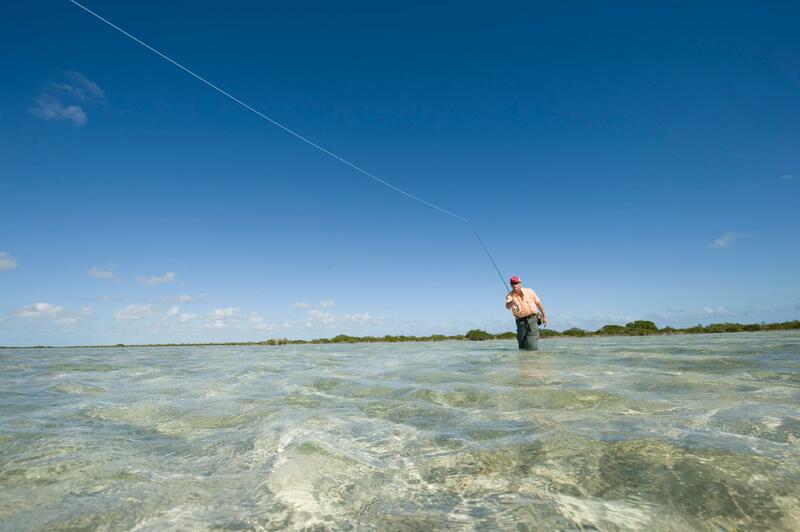 The biggest saltwater bravado for fluorocarbon is abrasion resistance. Fluorocarbon is just better than mono, and on the flats that’s a big deal as well as in thick cover, nymphing or jigging off the bottom. Fluorocarbon is waterproof – same strength wet or dry over many, many cycles of being fished which is not true of monofilament. There does not seem to be a rush to the checkout counter by fly fishers when it comes to braided. It’s a favorite of bass tournament participants, spin fishers, and bait chuckers. It also allows for lower line diameters. Nanofil is ultra-thin. The 6-pound-test has a sewing-thread diameter of .005 inches, and the 12-pound-test is only slightly thicker at .008 inches. The negative with such a thin line is that it takes a whole bunch of the stuff to fill a reel. Also, the friction of the line rubbing against itself causes it to fail if it is tied while dry. There’s not enough thickness to the line to absorb the nicks and scratching that occurs when a dry knot is cinched.